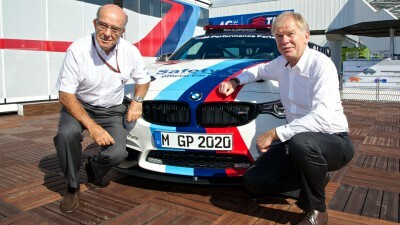 MotoGP™ World Championship organiser Dorna Sports and BMW M GmbH have extended their cooperation until 2020, meaning that BMW M will remain as the “Official Car of MotoGP” and BMW will continue to provide the safety car fleet for MotoGP over the coming years. The provision of the safety cars and the rest of the official fleet lies at the heart of the partnership. This season, the fleet consists of five BMW M and M Performance models, spearheaded by the BMW M4 Coupé Safety Car. BMW M GmbH has also continuously expanded its MotoGP activities in recent years.